Rapid transit or mass rapid transit (MRT), also known as heavy rail, metro, subway, tube, U-Bahn or underground, is a type of high-capacity public transport generally found in urban areas. Unlike buses or trams, rapid transit systems are electric railways that operate on an exclusive right-of-way, which cannot be accessed by pedestrians or other vehicles of any sort,  and which is often grade separated in tunnels or on elevated railways. Maglev is a system of train transportation that uses two sets of magnets, one set to repel and push the train up off the track, then another set to move the 'floating train' ahead at great speed taking advantage of the lack of friction. Along certain "medium range" routes Maglev can compete favorably with high-speed rail and airplanes. 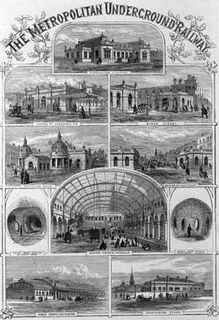 The world's first rapid transit system was the partially underground Metropolitan Railway which opened as a conventional railway in 1863, and now forms part of the London Underground. In 1868, New York opened the elevated West Side and Yonkers Patent Railway, initially a cable-hauled line using static steam engines. The Metropolitan Railway was a passenger and goods railway that served London from 1863 to 1933, its main line heading north-west from the capital's financial heart in the City to what were to become the Middlesex suburbs. Its first line connected the main-line railway termini at Paddington, Euston, and King's Cross to the City. 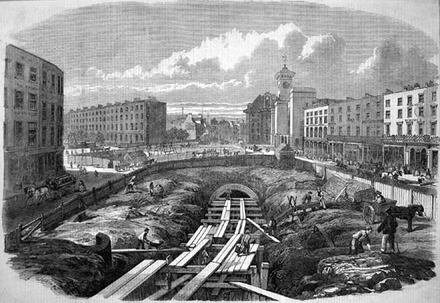 The first section was built beneath the New Road using the "cut-and-cover" method between Paddington and King's Cross and in tunnel and cuttings beside Farringdon Road from King's Cross to near Smithfield, near the City. It opened to the public on 10 January 1863 with gas-lit wooden carriages hauled by steam locomotives, the world's first passenger-carrying designated underground railway. In transport terminology, network length refers to the total length of a transport network, and commonly also refers to the length of any fixed infrastructure associated with the network. 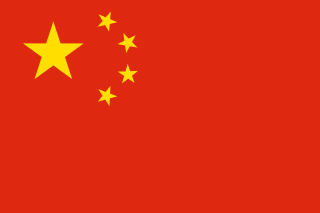 The Shanghai Metro is a rapid transit rail network in Shanghai, operating urban and suburban transit services to 14 of its 16 municipal districts and to Huaqiao Town, Kunshan, Jiangsu Province. The Shanghai Metro system is the world's largest rapid transit system by route length. Opening in 1993 with full-scale construction extending back to 1986, the Shanghai Metro is the third-oldest rapid transit system in mainland China, after the Beijing Subway and the Tianjin Metro. It has seen substantial growth, significantly during the years leading up to the Expo 2010, and is still expanding quickly, with its most recent expansions having opened in December 2018. It is the largest component of the Shanghai metropolitan rail transit network, together with the Shanghai maglev train, the Zhangjiang Tram, the Songjiang Tram and the China Railway-operated commuter rail services to Jinshan. The metro system is also integrated with other forms of public transport in Shanghai. 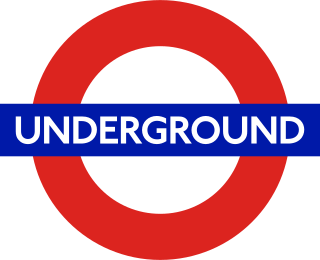 Metro is the most common term for underground rapid transit systems used by non-native English speakers. 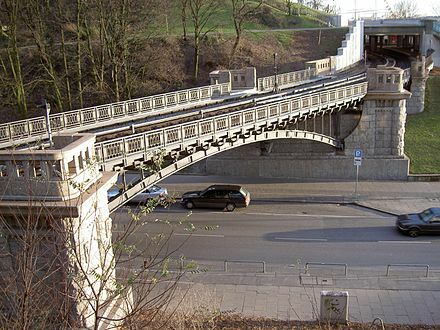 Rapid transit systems may be named after the medium by which passengers travel in busy central business districts; the use of tunnels inspires names such as subway,  underground,  Untergrundbahn (U-Bahn) in German,  or the Tunnelbana (T-bana) in Swedish;  the use of viaducts inspires names such as elevated (L or el), skytrain,  overhead, overground or Hochbahn in German. One of these terms may apply to an entire system, even if a large part of the network (for example, in outer suburbs) runs at ground level. The Tyne and Wear Metro, referred to locally as simply the Metro, is a rapid transit and light rail system in North East England, serving Newcastle upon Tyne, Gateshead, South Tyneside, North Tyneside and Sunderland in Tyne and Wear. It has been described as the first modern light rail system in the United Kingdom. 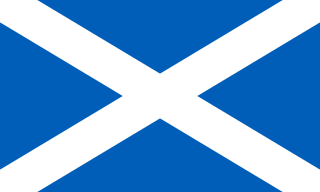 The Glasgow Subway is an underground rapid transit line in Glasgow, Scotland. Opened on 14 December 1896, it is the third-oldest underground metro system in the world after the London Underground and the Budapest Metro. It is also one of the very few railways in the world with a track running gauge of 4 ft. Formerly a cable railway, the Subway was later electrified, but its twin circular lines were never expanded. The line was originally known as the Glasgow District Subway, but was later renamed Glasgow Subway Railway. It was so called when taken over by the Glasgow Corporation who renamed it the Glasgow Underground in 1936. Despite this rebranding, many Glaswegians continued to refer to the network as "the Subway". In 2003 the name "Subway" was officially readopted by its operator, the Strathclyde Partnership for Transport (SPT). A £40,000 study examining the feasibility of an expansion into the city's south side was conducted in 2005 while a further commitment from Labour in 2007 to extend to the East End was also to no avail. Advancements in technology have allowed new automated services. Hybrid solutions have also evolved, such as tram-train and premetro, which incorporate some of the features of rapid transit systems. In response to cost, engineering considerations and topological challenges some cities have opted to construct tram systems, particularly those in Australia, where density in cities was low and suburbs tended to spread out. Since the 1970s, the viability of underground train systems in Australian cities, particularly Sydney and Melbourne, has been reconsidered and proposed as a solution to over-capacity. Alternatively, there may be a single central terminal (often shared with the central railway station), or multiple interchange stations between lines in the city center, for instance in the Prague Metro. The London Underground  and Paris Métro  are densely built systems with a matrix of crisscrossing lines throughout the cities. 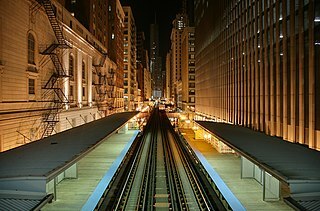 The Chicago 'L' has most of its lines converging on The Loop, the main business, financial, and cultural area. 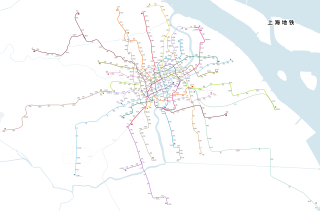 Some systems have a circular line around the city center connecting to radially arranged outward lines, such as the Moscow Metro's Koltsevaya Line and Beijing Subway's Line 10. Rapid transit operators have often built up strong brands, often focused on easy recognition—to allow quick identification even in the vast array of signage found in large cities—combined with the desire to communicate speed, safety, and authority. In many cities, there is a single corporate image for the entire transit authority, but the rapid transit uses its own logo that fits into the profile. Some systems assign unique alphanumeric codes to each of their stations to help commuters identify them, which briefly encodes information about the line it is on, and its position on the line. For example, on the Singapore MRT, Changi Airport MRT Station has the alphanumeric code CG2, indicating its position as the 2nd station on the Changi Airport branch of the East West Line. Interchange stations would have at least two codes, for example, Raffles Place MRT Station has two codes, NS26 and EW14, the 26th station on the North South Line and the 14th station on the East West Line. Rapid transit facilities are public spaces and may suffer from security problems: petty crimes, such as pickpocketing and baggage theft, and more serious violent crimes, as well as sexual assaults on tightly packed trains and platforms. Security measures include video surveillance, security guards, and conductors. In some countries a specialized transit police may be established. These security measures are normally integrated with measures to protect revenue by checking that passengers are not travelling without paying. Some subway systems, such as the Beijing Subway, which is ranked by Worldwide Rapid Transit Data as the "World's Safest Rapid Transit Network" in 2015, incorporate airport-style security checkpoints at every station. 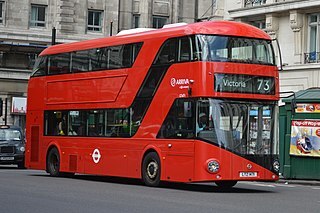 Rapid transit systems have been subject to terrorism with many casualties, such as the 1995 Tokyo subway sarin gas attack  and the 2005 "7/7" terrorist bombings on the London Underground. High capacity Monorails with larger and longer trains can be classified as rapid transit systems. [ citation needed ] Such monorail systems recently started operating in Chongqing and São Paulo. Light metro is a subclass of rapid transit that has the speed and grade separation of a "full metro" but is designed for smaller passenger numbers. It often has smaller loading gauges, lighter train cars and smaller consists of typically two to four cars. Light metros are typically used as feeder lines into the main rapid transit system. For instance, the Wenhu Line of the Taipei Metro serves many relatively sparse neighbourhoods and feeds into and complements the high capacity metro lines. To allow easy access to the trains, the platform height allows step-free access between platform and train. If the station complies with accessibility standards, it allows both disabled people and those with wheeled baggage easy access to the trains,  though if the track is curved there can be a gap between the train and platform. Some stations use platform screen doors to increase safety by preventing people falling onto the tracks, as well as reducing ventilation costs. The deepest station in the world is Arsenalna station in Kiev, Ukraine  (105.5 m). Some cities have opted for two tiers of urban railways: an urban rapid transit system (such as the Paris Métro, Berlin U-Bahn, London Underground, and the Tokyo subway) and a suburban system (such as their counterparts RER, S-Bahn, future Crossrail & London Overground, JR Urban Lines respectively). The suburban systems may have their own purpose built trackage, run at similar "rapid transit-like" frequencies, and commonly are operated by the national railway company. In some cities these suburban services run through tunnels in the city center and have direct transfers to the rapid transit system, on the same or adjoining platforms. California's BART, Federal District's Metrô-DF and Washington's Metrorail system is an example of a hybrid of the two: in the suburbs the lines function like a commuter rail line, with longer intervals and longer distance between stations; in the downtown areas, the stations become closer together and many lines interline with intervals dropping to typical rapid transit headways. The farebox recovery ratio, a ratio of ticket income to operating costs, is often used to assess operational profitability, with some systems including Hong Kong's MTR Corporation,  and Taipei  achieving recovery ratios of well over 100%. This ignores both heavy capital costs incurred in building the system, which are often subsidized with soft loans  and whose servicing is excluded from calculations of profitability, as well as ancillary revenue such as income from real estate portfolios. Some systems, particularly Hong Kong's, extensions are partly financed by the sale of land whose value has appreciated by the new access the extension has brought to the area,  a process known as value capture. The S-train is a type of hybrid urban-suburban rail serving a metropolitan region. Some of the larger S-train systems provide service similar to rapid transit systems, while smaller ones often resemble commuter or even regional rail. They are especially common in Germany and Austria, where they are known as S-Bahn, which in the 1930s was an abbreviation of either Schnellbahn, Stadtbahn or Stadtschnellbahn, depending on the city, but they must not be confused with U-Stadtbahnen. Similar S-train systems exist also in Denmark, there known as S-tog, the Czech Republic as Esko, Switzerland also as S-Bahn, and northern Italy as Servizio ferroviario followed by either the word "metropolitano" or "suburbano". 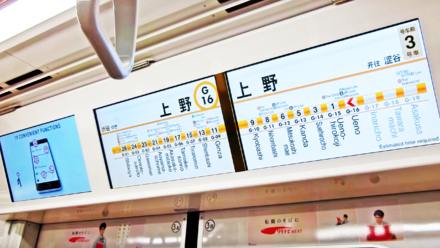 Osaka Metro is the rapid transit network in the Osaka Metropolitan Area of Japan, operated by Osaka Metro Co., Ltd.. It serves the city of Osaka and the adjacent municipalities of Higashiosaka, Kadoma, Moriguchi, Sakai, Suita, and Yao. Osaka Metro forms an integral part of the extensive mass transit system of Greater Osaka, having 123 out of the 1,108 rail stations (2007) in the Osaka-Kobe-Kyoto region. In 2010, the greater Osaka region had 13 million rail passengers daily of which the Osaka Municipal Subway accounted for 2.29 million. Kaohsiung Rapid Transit System is a metro and light rail system covering the metropolitan area of Kaohsiung, Taiwan. The metro lines are commonly known as Kaohsiung MRT for "mass rapid transit". Construction of the MRT started in October 2001. The MRT opened in 2008 and the Circular light rail in 2015. KRTS is operated by the Kaohsiung Rapid Transit Corporation under a BOT contract the company signed with the Kaohsiung City Government. 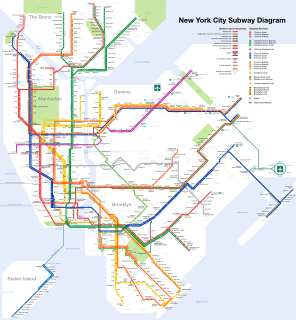 The New York City Subway is a rapid transit system that serves four of the five boroughs of New York City, New York: the Bronx, Brooklyn, Manhattan, and Queens. Its operator is the New York City Transit Authority, which is itself controlled by the Metropolitan Transportation Authority of New York. In 2015, an average of 5.65 million passengers used the system daily, making it the busiest rapid transit system in the United States and the seventh busiest in the world. Automatic train operation (ATO) is an operational safety enhancement device used to help automate operations of trains. Mainly, it is used on automated guideway transits and rapid transit systems which are easier to ensure safety of humans. Most systems elect to maintain a driver to mitigate risks associated with failures or emergencies. The Los Angeles Metro Rail is an urban rail transportation system serving Los Angeles County, California. It consists of six lines, including two rapid transit subway lines and four light rail lines serving 93 stations. It connects with the Metro Busway bus rapid transit system and also with the Metrolink commuter rail system. Rail transport in Japan is a major means of passenger transport, especially for mass and high-speed travel between major cities and for commuter transport in urban areas. It is used relatively little for freight transport, accounting for just 0.84% of goods movement. The privatised network is highly efficient, requiring few subsidies and running extremely punctually. Platform screen doors (PSDs) and platform edge doors (PEDs) at train or subway stations separate the platform from the train. They are a relatively new addition to many metro systems around the world, some having been retrofitted to established systems. They are widely used in newer Asian and European metro systems. Rapid transit technology is technology used for public, mass rapid transit. Such transit is commonly known as a Metro or Subway, and it has undergone significant changes in the years since the Metropolitan Railway opened publicly in London in 1863. The history of rapid transit began in London with the opening of the Metropolitan Railway, which is now part of the London Underground, in 1863. By World War I, electric underground railways were being used in Athens, Berlin, Boston, Buenos Aires, Budapest, Glasgow, Hamburg, Liverpool, New York City, Paris, and Philadelphia. Rapid transit in the United Kingdom consists of five systems in four cities: the London Underground and Docklands Light Railway, Tyne and Wear Metro, the Glasgow Subway and Merseyrail in the Liverpool City Region. Rapid transit has also been proposed in other U.K. cities including Manchester, Birmingham, Bristol, and Cambridge. ↑ "Rapid transit". Merriam-Webster . Retrieved 2013-07-31. ↑ UITP (2011). "Recommended basic reference for developing a minimum set of standards for voluntary use in the field of urban rail, according to mandate M/486" (PDF). Archived from the original (PDF) on 2014-02-22. Retrieved 2014-02-16. 1 2 "Glossary of Transit Terminology" (PDF). American Public Transportation Association . Retrieved 2013-07-31. ↑ "Rapid Transit". Encyclopædia Britannica . Retrieved 2014-11-28. ↑ "Chicago" . Retrieved 2015-04-24. ↑ Transport for London (1981). London Underground: History. ISBN 978-0-904711-30-1. Archived from the original on 2013-01-16. Retrieved 2013-01-02. ↑ "China's Metro Boom Continues to Drive Rapid Transit Growth - Institute for Transportation and Development Policy". Institute for Transportation and Development Policy. 2018-07-30. Retrieved 2018-11-20. ↑ "Rapid Transit Trends Show Record Growth in 2016, with Huge Increases in China, Brazil - Institute for Transportation and Development Policy". Institute for Transportation and Development Policy. 2017-02-17. Retrieved 2018-11-20. ↑ "Shanghai now the world's longest metro". Railway Gazette International . 4 May 2010. Retrieved 2010-05-04. ↑ Smith, Stephen J. (6 January 2014). "New Starts: Shanghai Metro World's Longest, Panama Canal Drama, Japan's Maglev". Next City. Retrieved 2014-09-21. ↑ "Facts - Subway and Bus Ridership". Metropolitan Transportation Authority (MTA) . Retrieved 2014-09-21. ↑ "Metros: Keeping pace with 21st century cities". uitp.org. International Association of Public Transport (French: L’Union, internationale des transports publics (UITP)). 2014. Retrieved 2014-09-20. ↑ Executive ed. : Joseph P. Pickert... (2000). The American Heritage Dictionary of the English Language (Fourth ed.). Houghton Mifflin Company. ISBN 978-0-618-08230-8. ↑ "Definition of "Underground"". Chambers Reference Online. Retrieved 2006-11-28. ↑ "DC Metro System Fast Facts". CNN. 2013-11-03. Retrieved 2015-07-20. ↑ Emmerson, Andrew (2010). The London Underground. London: Shire Publications Ltd. p. 13. ISBN 978-0-74780-790-2. ↑ Bolger, Paul (2004-11-22). "Site Name: Liverpool Overhead Railway & Dingle Station". Subterranea Britannica. Retrieved 2007-09-19. ↑ "Subway". Encyclopædia Britannica online. Retrieved 2006-12-02. 1 2 Pulling, Niel (2008-05-22). "Light Rail – the Solution to Inner-City Chaos?". Railway Technology. Retrieved 2008-08-18. ↑ "Rapid Transit Trends Show Record Growth in 2016, with Huge Increases in China, Brazil - Institute for Transportation and Development Policy". Institute for Transportation and Development Policy. 2017-02-17. Retrieved 2018-09-01. ↑ "In response to growth, Chinese cities choose metros". The Transport Politic. 2018-01-17. Retrieved 2018-09-01. ↑ Walker, Jarret (2012). Human transit : how clearer thinking about public transit can enrich our communities and our lives. Washington: Island Press. ISBN 978-1-59726-972-8. ↑ Office of Hazardous Materials Safety. "A Comparison of Risk: Accidental Deaths – United States – 1999–2003". US Department of Transportation. Archived from the original on 7 September 2007. Retrieved 2007-09-10. ↑ "Office of Rail Regulation". UK Health & Safety Executive. Retrieved 2007-09-10. ↑ "Why we need to talk about sexual assault on public transport". 30 April 2017. ↑ "Sexual Harassment on the New York Subway Has Increased More Than 50% This Year". ↑ "El auto de procesamiento por el 11-M". El Mundo (in Spanish). Retrieved 2008-09-08. ↑ Railway Technology. "Toulouse Metro, France" . Retrieved 2008-08-20. ↑ Sato, Yoshihiko; Matsumoto, Akira & Knothe, Klaus (2002). "Review on rail corrugation studies". Wear . 253 (1–2): 130–139. doi:10.1016/S0043-1648(02)00092-3. Archived from the original on 2008-09-25. Retrieved 2008-08-21. ↑ Société de transport de Montréal (2002). The Montreal Métro, a source of pride (PDF). p. 6. ISBN 978-2-921969-08-6. Archived from the original (PDF) on September 30, 2007. ↑ "Docklands Light Railway – About DLR". Archived from the original on 27 October 2006. Retrieved 2006-12-04. ↑ "Bangkok Mass Transit System Company Limited – BTS SkyTrain". Archived from the original on 2006-11-19. Retrieved 2006-12-04. ↑ Ming-Tsun Ke; Tsung-Che Cheng & Wen-Por Wang (2002). "Numerical simulation for optimizing the design of subway environmental control system". Building and Environment. 37 (11): 1139–1152. doi:10.1016/S0360-1323(01)00105-6. ↑ "Metro Arts and Architecture". Metro Bits. Retrieved 2006-12-04. ↑ Storstockholms Lokaltrafik. "Konståkning i världens längsta konstutställning" (in Swedish). Archived from the original on October 13, 2007. Retrieved 2008-08-20. ↑ "10 Ways to Enhance Your Community: Unleash the Power of Public Transportation" (PDF). Archived from the original (PDF) on 17 October 2006. Retrieved 2006-12-04. ↑ "World Metro Database". Metro Bits. Retrieved 2013-11-17. ↑ Prud'homme, Rémy (2012). "Public transport congestion costs: The case of the Paris subway". Transport Policy. 21: 101–109. doi:10.1016/j.tranpol.2011.11.002 . Retrieved 2012-04-01. 1 2 MTR Corporation (2008-08-05). "Announcement of Unaudited Results for the Six Months Ended 30 June 2008" (PDF). Retrieved 2008-08-21. ↑ "Taipei Rapid Transit Corporation '08 Annual Report" (PDF). Taipei Rapid Transit Corporation. p. 96. Retrieved 2010-07-06. Fjellstrom, K.; Wright, L. (2002). "Mass Transit Options" (PDF). Sustainable Transport: A Sourcebook for Policy-Makers in Developing Cities. Deutsche Gesellschaft für Technische Zusammenarbeit . Retrieved 2009-07-09. Wikimedia Commons has media related to Rapid transit .